On 1 June 1829 Stirling and his party arrived at Garden Island and erected the necessary buildings to protect the stores. 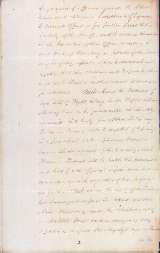 On 18 June, Stirling and others landed on the mainland at Rous Head and formally published, both on the mainland and at Garden Island, this Proclamation constituting His Majesty's Settlement in Western Australia. 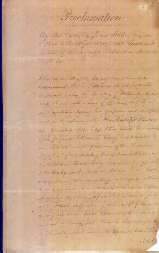 In the Proclamation Stirling indicated that His Majesty's Authority now applied over the Colony and hence 'all persons whom it may concern should obey all Legal Commands and regulations, as I may see fit from time to time to enact ...'. 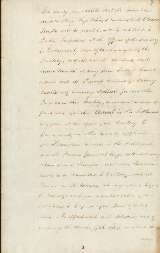 The Proclamation was the last of a number of initial steps necessary to establish the Colony, including the original Instructions to the Admiralty, the formal appointment of Stirling as Lieutenant-Governor and the issuing of his detailed Instructions, and the passage of the 1829 Act formally establishing the Colony. In the weeks that followed Stirling took steps to found the town of Fremantle at the mouth of the Swan River and the capital, Perth, further upstream at the foot of Mount Eliza. At a formal ceremony on 12 August, the King's birthday, a tree was cut down to mark the foundation of Perth. Battye, JS, Western Australia: A History from its Discovery to the Inauguration of the Commonwealth, Oxford, Clarendon Press, 1924. Colebatch, H, A Story of a Hundred Years, Western Australia 1829–1929, Government Printer, Perth, 1929. Crowley, FK, Australia's Western Third: A History of Western Australia From the First Settlements to Modern Times, Macmillan, London, 1960. 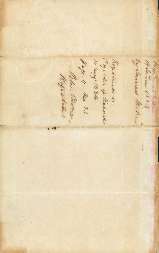 This document was written on lightweight paper. 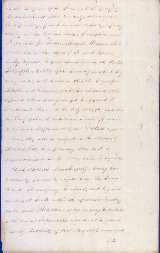 Although it is fairly brittle and fragile, with some light damage, it is nevertheless clearly legible. 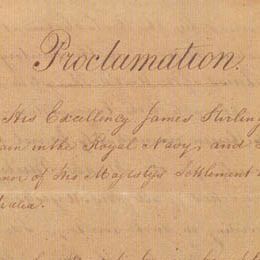 Detail from the title page of Lieutenant-Governor Stirling's Proclamation of the Colony of Western Australia. 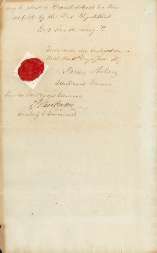 Long Title: Proclamation by Lieutenant-Governor Stirling of His Majesty's settlement in Western Australia thus effecting the settlement of the Colony, 18 June 1829.